Samsung has announced yet another addition to its growing A lineup of smartphones, with the Samsung Galaxy A70 sporting a massive 6.7-inch screen making headlines this time around. It’s the second-largest display ever on a Samsung handset (the biggest is 7 inches on the Galaxy W from 2014), and it pairs that extra-generous screen real estate with the company’s first cinematic aspect ratio of 20:9. 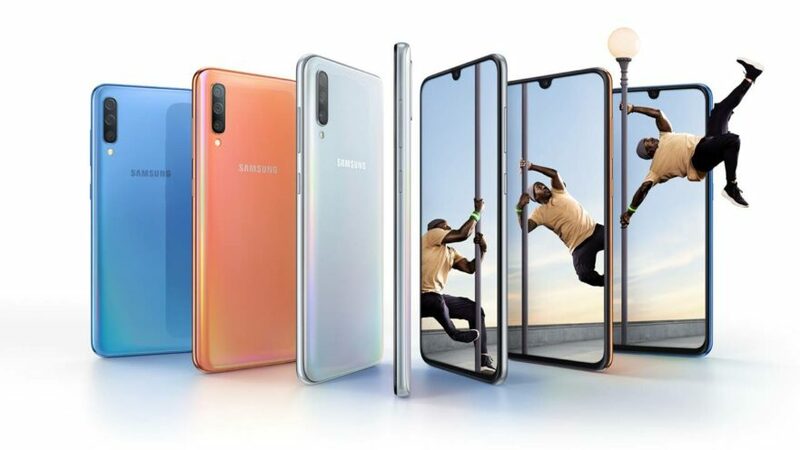 The Galaxy A70 also gets a rounded notch for the 32-megapixel selfie camera. The phone’s pricing and international release have yet to be disclosed, though it’s believed Samsung will spill everything on April 10, when it conducts its next Galaxy event. But in related news, we’ve heard from a reliable local source that the Galaxy A70 is also debuting in the Philippines sometime in April. That’s quite a short wait time considering the phone’s launch event slated for next month. It might even mean that the Philippines will be one of the first markets to see the Galaxy A70 in retail stores. As for local pricing, we expect the phone to sell for in the lower P20,000 (approximately $380) range, given what it has to offer and the Galaxy A50’s domestic price of P17,990 ($342). Besides the giant display, the Galaxy A70 also boasts under-display fingerprint sensor technology for convenient unlocking. There’s also a triple-sensor camera system at the back, featuring a 25-megapixel main camera joined by an 8-megapixel ultra-wide-angle shooter and a 5-megapixel depth sensor for bokeh. The battery is 4,500mAh and supports 25-watt fast wired charging. Samsung doesn’t mention its processor by name, though it will be paired with 6GB or 8GB RAM and 128GB of expandable storage. The phone will also run Samsung One UI on top of Android 9.0 Pie that includes mainstay features such as Night Mode and Knox.